In recent years, the amount of attention being paid to substitutes for daily grains like rice has resulted in a mass frenzy for alternatives. Among the wide variety found in the world, an exceptionally notable name has popped out repeatedly over the years. The recently dubbed “superfood” is, in fact, a seed and is classed as a pseudo-cereal due to the nature of its growth. Quinoa has long been consumed in countries like Peru, Bolivia, and Columbia for thousands of years before picking up in the West as an alternative to rice. It also helps that the main reason why quinoa has gotten such a stellar reputation is due to its nutrients far exceeding that of common rice. There are many reasons why one should consume more quinoa and substitute your daily grain for this amazing pseudo-cereal. First and foremost, quinoa is gluten-free, making it an excellent choice for those that have an intolerance to gluten. In addition to that, the glycemic index is far superior to that of regular grains like brown rice. What this translates to is that quinoa will cause a lower spike in a person’s blood glucose levels meaning you won’t feel a sudden spike in your energy followed by a strong wave of lethargy and hunger pangs. To top it off, storage of fat is far lesser in food with low glycemic index, making it the ideal choice as your staple food. Quinoa also has better macronutrients compared to brown rice, a god sent for fitness enthusiasts who track their nutrition intake on a daily basis. 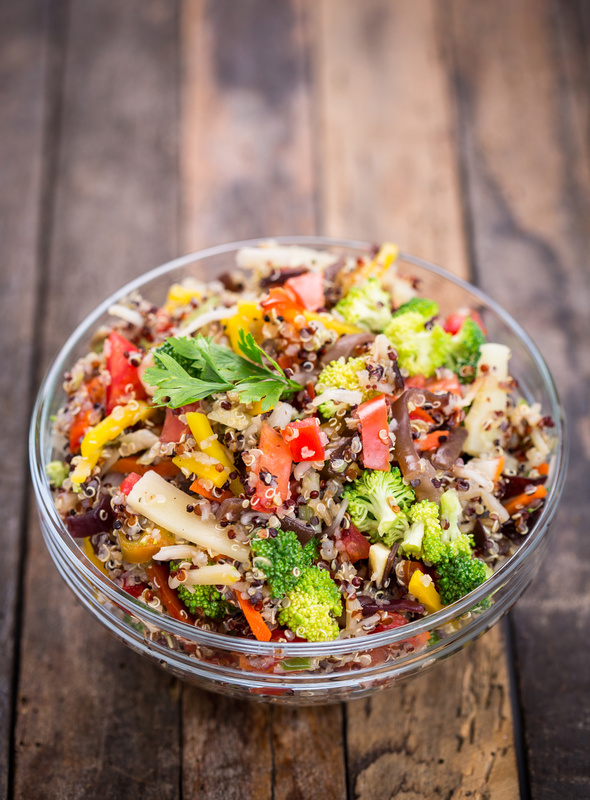 With a serving of Quinoa, it has three grams more protein as compared to brown rice, all while providing you with slightly lesser carbohydrates. Although the fat content in quinoa may be slightly higher than rice, many people aren’t fazed by it because of the overwhelming benefits that the pseudo-cereal presents. Finally, Quinoa has thousands of trace nutrients, especially compounds known as flavonoids which are proven to have beneficial effects on our health. Two particular flavonoids found in large quantities are quercetin and kaempferol, and they far exceed the amount found in fruits like cranberries! They boost anti-inflammatory, anti-viral and anti-carcinogenic type properties in cells and could potentially be the one thing that’s missing in your diet! With all these health benefits that you can obtain from Quinoa, it is high time you change your staple food of choice to this pseudo-cereal. Perhaps it is one of those rare times where jumping on the bandwagon will truly yield results amidst the crowd of misinformation.